When it comes to selling your home, one of the toughest questions to answer is whether or not your roof needs to be replaced. Between real estate agents, home contractors, friends and family, you’ll hear all kinds of answers. If you’re thinking of selling or just want to future-proof your home, check out some of these warning signs your roof needs to be replaced. This may sound like one of the most obvious reasons your roof needs to be replaced, but you’d be surprised how many people miss it. When is the last time you climbed into your attic to inspect the roof? It’s a task that many homeowners forget to add to their yearly check-up list. Once inside, the only sources of light you should be seeing is from any vents or windows that are present. If you can see daylight through the ceiling, this means your shingles and roof have degraded to the point of ineffectiveness. If sunlight is coming through, you can also bet that water and possibly even insects or animals are coming through, too. There’s a good chance that you’ll find water spots, animal droppings, or dead insects if there is enough sunlight coming through. If you only spot one or two sources of light, there’s a possibility that the roof has only been damaged in that area. When that is the case, your roof troubles may be alleviated by patching that specific area. 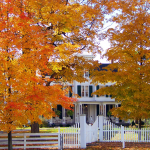 This can be a cost-effective solution if you’re wanting to sell your home quickly or delay the issue, but there’s a good chance that the damage will spread over time. The safer bet is to replace the roof and rid yourself of these sources of exposure. Believe it or not, if your shingles are cracked, curling, or falling off, it may be time to replace your roof (sarcasm!). Sometimes this issue isn’t as obvious as it sounds, especially if you haven’t inspected your roof up close in quite some time. 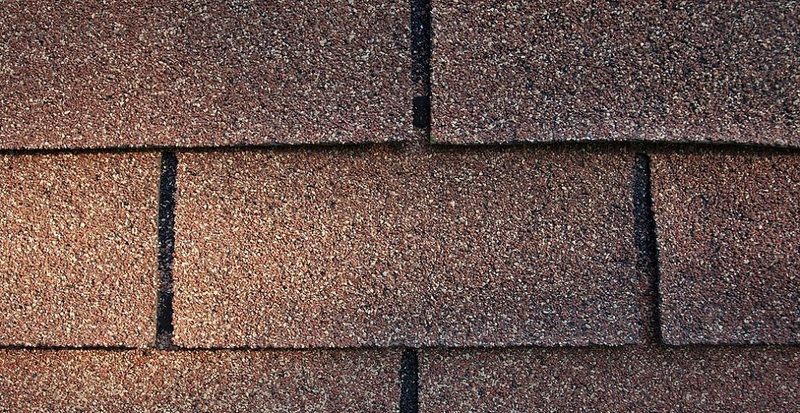 Cracked shingles are easiest to spot—you’ll quickly notice the irregular lines that don’t match the consistent lining of your shingle pattern. Curled shingles are noticeable too, but you may have to take a closer look to find them. If you find curling, this usually means that your roof has worn out, even if it seems premature. This issue can be caused by several factors, including poor ventilation, improper installation, intense heat and sun damage, or advanced age. When your shingles are cracked or curling, it’s usually viewed as a sign that your roof is nearly or already shot. If you’re one for aesthetics, another sign your roof needs to be replaced is the presence of algae or moss on the shingles. When you discover these growths, there’s a good chance that your roof is still functioning properly, but it definitely becomes an eye sore. If you can’t stand the look, make sure you refrain from pressure washing or cleaning the shingles—this can cause leaks and unnecessary damage to the roof. Other signs of damage include hail damage spots, animal markings or scratchings, or missing shingles and strips. This issue is related to damage or trauma to your shingles, but it can also happen on its own over time. 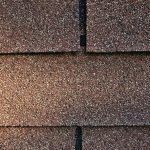 Most shingles are coated with what are known as granules, or a protective, rough surface material made of several different components. The granule coating serves multiple purposes, including protection against the sun and elements, fire retardation, and as a way to add an aesthetic flair to your home or building’s roof—this is where the color comes from on different rooftops. Over time these granules will erode and separate from the shingles; you may spot them on the ground next to your home or in the gutters. When this happens, your shingles are essentially losing their protective cover and resistance. You can think of this scenario like a pair of sneakers. When you first purchase them, the underside tread is hard and rough, but over an extended period of time, the sole of the shoes will become worn and smooth. Your shingles act in the same way, and just like the pair of old sneakers, it’s time to throw them out and buy a new pair—your roof needs to be replaced. Failing to fix this issue will cause the integrity of your shingles to reduce, and your roof will probably begin to show signs of leaking or disintegration. If you notice the roof of your home is drooping or sagging, you need to take action immediately. While there may not be an immediate danger (your roof probably won’t collapse on you), a sinking roof is a sign of serious structural issues. If your roof has always appeared to sag, it probably means that the roof was not configured or installed properly when the home was built. If you’re just noticing the issue for the time, it more than likely means that your roof has allowed water to seep in and saturate or rot out some of the important structural components. These issues don’t mean you need to demolish the home, but they can become expensive to repair if left unattended for a long time. If you notice any kind of sagging or drooping coming from your roof or attic, contact a professional immediately so they can assess the damage and create a plan to restore your home. Many times you’ll find that the issue can be alleviated quickly by either replacing the damaged parts or adding new structural devices to help boost the home’s stability. Maybe the most common reason your roof needs to be replaced is that it has exceeded its lifespan. Most experts will tell you that the average roof should last fifteen to thirty years if properly installed and kept free of catastrophic damage. Of course, the exact number will vary from roof to roof due to a number of variables, including the climate and weather conditions, quality of materials, and whether or not it has been properly installed. If your roof falls in between that age range, chances are you’ve probably noticed a few of the previously mentioned issue. The cost to replace your roof may sound steep at first, but it’s usually better to pull the trigger than to wait. If you’re hoping to resell your home with an ineffective and outdated roof, many buyers will probably ask for it to replaced in their inspection response. If you’re just trying to future-proof your home, living with an ineffective roof can lead to a plethora of other problems in and around your home. If your roof needs to be replaced, it’s almost always in your best interest to do so. Delaying the addition of a new roof and further damage the structure of your home or lead to other nuisances like water damage or the need for pest control. Send our team a message if you need help finding a local professional in Newburgh to get started on a new roof for you today.